The story of how a Brockville Ontario Vexillologist Robert J. (Bob) Harper successfully compiled the detailed facts of who and how the Canadian Maple Leaf Flag was brought to fruition in 1964/65. 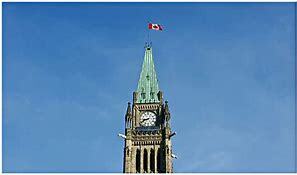 Nearly 53 years after the National Flag of Canada was first flown on Parliament Hill in Ottawa. With 6 ½ years, 40,000 documents, over 15,000 hours of research. All of this began as a not quite seven year old child who met a fellow citizen of Brockville by the name of John Ross Matheson in the spring of 1961. Mr. Matheson sat on the back step of our house at 70 Amy Street in Brockville Ontario and explained to me, he had been a friend of my Dad and was campaigning to become our Member of Parliament (Liberal Party of Leeds County) and had dropped by to ask my Mom for her support (my Dad had died in 1957) and was a veteran of WW11. The impression of this man walking up our driveway with the assistance of his canes is something I will remember forever. 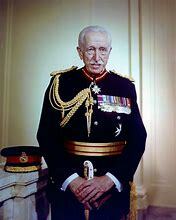 Mr. Matheson was elected to Parliament in a by-election on May 29th 1961. 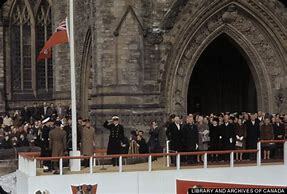 By December 15th 1964 I was consumed by the work Mr. Matheson was doing as our elected Member of Parliament to bring a new flag to all Canadians. As a child I was probably not very knowledgeable about the workings of Government but for some strange and unexplainable reason I was totally into “The Great Flag Debate” and the conversations of what this debate was all about. For many years after the Canadian Maple Leaf Flag was first raised on February 15th 1965 I was able to speak with Mr. Matheson on many subjects, but the flag was always the main subject of discussion. In 1982 I was working with the Village of Westport Ontario during the 150th Anniversary of the Rideau Canal. I had the opportunity to have a conversation with Mr. Matheson and we discussed the fact that most Canadians only knew about the negative and divisive debate that took place leading up to the birth of our flag. They did not seem to know about the details of whom and how it had been brought to fruition. 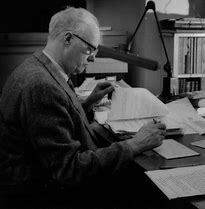 Several decades past and a mutual friend Judge Charles Anderson suggested I get in touch with then 90 year old Mr. Matheson and see if we could discuss the many details. In May of 2008 I met with Mr. Matheson at the Annual St. John’s Ambulance Dinner and we agreed to begin conversing on a regular basis to ensure all of the details and all of the people who contributed were identified and some sort of record would be made available. In August of 2010 I was ready to move back to my home town of Brockville and I spoke with Mr. Matheson to ask if we could begin having regular meetings to discuss the detailed history of who and how our Canadian Maple Leaf Flag was brought to fruition in 1964/65. We started to have 2 or 3 hour meetings several times a week, which lasted until 2 weeks before his death on December 27th 2013 at age 96. During all of these meetings Mr. Matheson would answer my pre-arranged questions with his very kind but professional demeanour and in most instances directed me to find the correct information through a variety of resources rather than just providing a direct answer. Although sometimes very frustrating I now understand why he employed this methodology to the discussions. The research and verification of information has proven to be invaluable in the quest to bring a factual account and chronological awareness to all Canadians of the many loving hands who contributed to the Canadian Maple Leaf Flag becoming the National Flag of Canada. This information is now being made available through Government of Canada information websites as well as other very highly respected individuals and organizations through-out Canada. 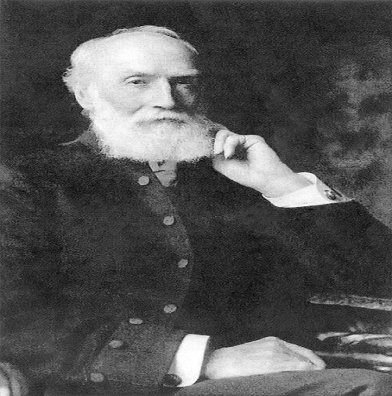 During the past 6 ½ years it became more obvious to me that the information available to the general public had been dominated by 2 or 3 families wanting to expropriate the recognition of involvement of suggestions, and glorification of credit which had been made available by John Ross Matheson himself. The most interesting thing I have discovered is, the facts of history are so often replaced by family told stories which are increasingly manipulated and made to fit the story being told, rather than the true factual account and as time passes and the stories gain a form of credibility through association of institutions, organizations, friends and extended family members. I can think of at least 3 referenced historical stories which have been recently proven to be nothing more than family told stories with no verifiable facts. The first of these three stories is that of Betsy Ross as the creator of the first American Flag. It has recently been found that there is absolutely no evidence to prove she had anything to do with sewing the first American Flag. The story came from her grandson some 85 years after the event was to have taken place. History researchers in the United States spent thousands of hours researching the story and concluded there were no facts to verify the family story at all. The second story which has recently been found to have been debunked is the famous, Rosenthal Flag Raising picture and historical account of Iwo Jima during the Second World War. 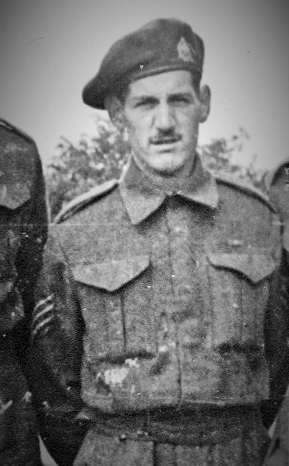 It was discovered by amateur historians that one of the soldiers in the picture was mistaken for another soldier and was not part of the flag raising at all. It just happens that the son of the soldier who was not actually part of the flag raising was the author of the book about the event and sold the rights to the movie industry for a very large sum of money. Again a family told story which had absolutely no credibility when the facts were brought to light. The third story is that of Thomas Edison and the creation of the electric light bulb. After nearly 100 years researchers discovered that in reality Thomas Edison had purchased the patent from its original inventor. Although Edison did develop many more complex electrical devises he had been given credit for something he just plain and simply did not do. When you take a close look at the many other misconceptions and family driven stories from around the entire world you can begin to understand how “history” can be skewed to provide credit and accomplishments which in reality are quite simply not true. In the case of who and how our beloved Canadian Maple Leaf Flag was brought to fruition there were several issues which over a period of nearly 53 years have been used by a few families and institutions to create a story which has now been proven to be both misleading and exaggerated to say the least. The first is that of Alan Beddoe. The facts reflect that he did not work to bring the Canadian Maple Leaf Flag to fruition. Alan Beddoe worked in a manner to have his design of what he believed should become the National Flag of Canada. This design was dubbed the “Pearson Pendant” and had 3 co-joined red maple leafs on a white field with 2 blue borders. His design was eliminated by the Flag Committee vote. Mr. Beddoe’s betrayal of John Ross Matheson is well documented in the Library Archives of Canada. The Beddoe family story places Mr. Beddoe in a position of a “Father of the Flag” which is not true. 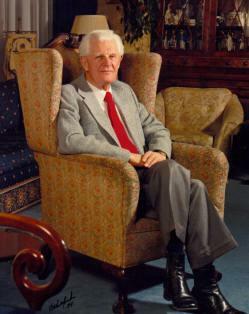 Mr. Beddoe was an accomplished Heraldic Expert, Government of Canada Artist and had many successful contributions. 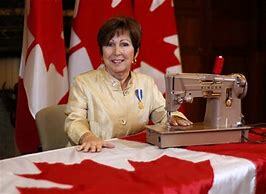 But he did everything in his power to undermine the effort which brought the Canadian Maple Leaf Flag to fruition. The factual reality of the Stanley suggestion was only discovered in late 1965 or January of 1966 (after the Canadian Maple Leaf Flag was official). 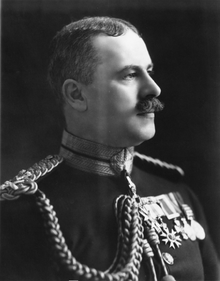 Mr. Matheson was made aware, by his associate Mr. George Beley that he had discovered in Government of Canada Archives, on February 4th 1919 Major- General (later Sir) Eugene Fiset sent a memo to his boss the Under Secretary of State for the Department of Militia and Defence of Canada, Thomas Mulvoy to discuss the requirements to update the Armorial Bearings of Canada. In this memo Fiset suggested the “symbol of Canada” be “a single red maple leaf on a white field” with 2 red borders. 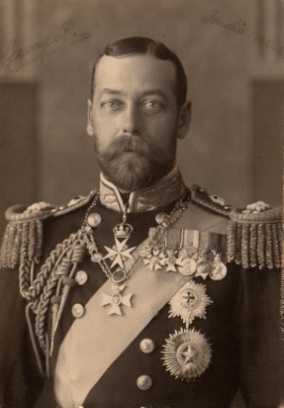 This information was a beginning proposition which culminated in King George V proclaiming Canada’s Official colours to be Red and White and three co-joined red maple leafs to be part of the Armorial Bearings of Canada in 1921. Then there are the “suggested words” describing Dr. George Stanley as the “designer or creator” of the National Flag of Canada. The use of these words to describe Dr. Stanley’s involvement is both wrong and ridiculous. 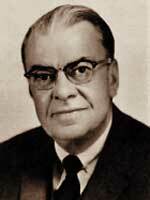 Dr. Stanley was not a member of the “Flag Committee”, the “Design Team” nor was he a Member of Canada’s 26th Parliament. 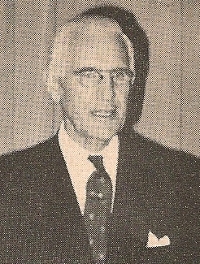 The Flag committee work was co-ordinated in every facet by the Honourable John Ross Matheson as a Member of Parliament and member of the Flag Committee. 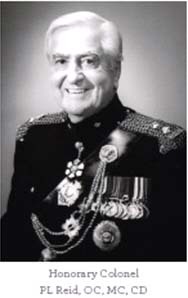 His role was to co-ordinate and oversee all aspects of suggestions, heraldic, and historical input on behalf of Prime Minister Lester B. Pearson. After the October 22th 1964 vote by the committee to accept the “single red maple leaf on a white field between 2 red borders” the work of a final design began. The final Maple Leaf design was created by Jacques Saint Cyr from the Department of Expositions on November 9th 1964 with the assistance of Patrick Reid and input from John Ross Matheson. The 2:1 proportions of the flag were suggested by George Bist. The colours were determined by Dr. Gunter Wyszecki and his team from the National Research Council of Canada. 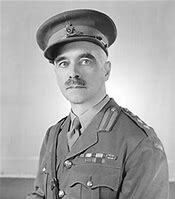 Although there is proof that both Dr. George Stanley from Royal Military College and Mr. Alan Beddoe were involved in the process of bringing the Canadian Maple Leaf Flag to fruition they neither created nor designed the National Flag of Canada. Mr. Matheson (the person most responsible) always spoke of the many loving hands it took to bring the flag to fruition, and stated clearly “there was not one person who designed or created” the National Flag of Canada. I have written 2 books which detail the story of both who and how our Canadian Maple Leaf Flag was brought to fruition and further details of the work Mr. Matheson accomplished as a resident of Brockville and Leeds County (now Leeds and Grenville)and as a Member of Parliament. It is my mission to bring awareness of these details to all Canadians, but foremost the school age children through our education system. My colleagues and I are currently working to have all of this information made available as a Grade 10 Civics Curriculum moving forward. It is not an easy task to gain support for an effort so complex and entrenched in misinformation dating back over 50 years. I truly believe the facts will bring recognition to the individuals and organization that truly deserve the credit for each and every part they played to bring the most recognized symbol of Canada to fruition. My goal is to continue the effort to bring awareness to the facts and nothing but the facts. All over the world today there are reports of new information coming to light relating to events and individuals from all walks of life and an endless timeframe. I sometimes wonder if the individuals who made false or exaggerated claims 50, 75 or 100 years ago ever gave any thought to how the documented facts would appear on websites or be available through online research. Maybe what this story proves, even more than, the facts relating to the work of the many loving hands who were responsible for bringing the National Flag of Canada to fruition, is the need to understand how the moral values of people can affect the way “History” is seen. I was raised to believe you should never just accept someone else’s view without debate. Not to say you should be skeptical and argumentative in nature but to strive to understand and be aware of facts versus fiction. The details of who and how our Canadian Maple Leaf Flag was brought to fruition are all available to anyone who wishes to complete the research. The “work” required to complete the research reaches far beyond reading the information provided on Wikipedia. I can say with total confidence there are very few average working class people who would have the time, finances, persistence and tenacity to “research” any subject in the detail I have completed over the past 6 ½ years. This brings me to the next part of the story. You may be wondering at this point, what is the reason a person would dedicate so much effort to one subject? The following pages are the real answer to that question and I hope the information is enlightening and provides details of a subject most Canadians did not previous know along with a message of motivation, caring and truth. Anyone who has made and fulfilled a commitment will tell you, your word is your bond. I have completed this work over the past 6 ½ years as a passion and I have made every effort humanly possible to fulfill the commitment I made. There is no single answer that would make sense to cover the enormous amount of work, time and effort (not to mention a life savings) which has been spent to bring this information together, other than to say “I Promised”. All I can do now is hope that the information is made available to each and every person who has any interest in the most recognized symbol of Canada in the world today. Spreading the awareness of the information contained in these documents will take more time and more effort moving forward. As you read the “rest of the story” as Paul Harvey would say, it will become clear that the story told here is the most comprehensive accumulation of detailed facts and verifiable information related to “The Many Loving Hands of Canada’s Maple Leaf Flag” ever compiled. The following pages contain the names and details of individuals and organizations whose contributions spanned nearly 100 years to bring a truly unifying symbol of Canada into being. The Honourable John Ross Matheson wanted each and every Canadian to know the names of all the people who contributed in some way to bring a National Flag of Canada to fruition. The following is an in-depth informative review of the individuals, agencies, Government of Canada departments, and Parliamentary procedures which began in 1895/96 and concluded in 1964/65 in a final design and creation known as “The Canadian Maple Leaf Flag”. In today’s world of fast paced change and online (non- committal) communication I am totally convinced the majority of people on earth have forgotten the intention of making a promise. I have spent the past 6 ½ years working every single day to fulfill a promise I made to a friend. It was, what I thought, a fairly straight forward and simple task which I now understand was a life changing commitment. I made this promise to a person who I respected and admired my entire life, I knew he would not ask me to make such a promise if it would be impossible to keep. It is now January of 2018, I made this promise in August of 2011. As of today I have spent more than 15,000 hours reviewing over 40,000 documents and communicating with several hundred Canadians in very important positions to ensure the promise I made is fulfilled. The promise I made to my friend the Honourable John Ross Matheson was to bring awareness to all Canadians the TRUE facts and detailed credit of exactly who and how our beloved Canadian Maple Leaf Flag was brought to fruition. John asked me, Bob Harper, an average working class Canadian with no political or social prowess to undertake the process which would acknowledge the many loving hands who worked for nearly 100 years to bring a truly unifying National Flag of Canada into being. In the more than 52 years since the birth of the most recognized symbol of Canada in the world, there have been many overlooked contributions from individuals, and myths of credits exaggerated by others. These myths and stories have over-shadowed the work and credit of “the many loving hands” that were responsible for the design and creation of the Canadian Maple Leaf Flag. John Ross Matheson admitted he had made some errors in judgement in providing certain credits and was extremely saddened to have realized the work done by so many dedicated Canadians had been overlooked and not honoured in the proper way in the annals of history. 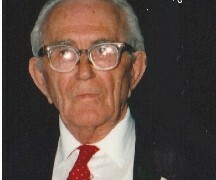 Mr. Matheson had made 2 attempts to rectify this injustice by bringing forward detailed credits in an October 1968 keynote speech at the Heraldry Society of Canada’s Annual meeting in Ottawa and again in 1991 in an acceptance speech at the Royal Military College in Kingston. In both cases his plea to set the record straight was not heeded. Mr. Matheson had accomplished so much in his life and had given Canada so much; he believed you should keep your promises. In July 1961 John Ross Matheson made a promise to Lester B. Pearson to begin researching what it would take to bring a National Flag of Canada to fruition. This promise was a commitment to a man who had made a promise to himself (Pearson) to do whatever it would take to bring a “unifying symbol” of Canada into being. My quest to fulfill my promise quickly became a life changing commitment. It became very clear that an everyday ordinary Canadian would require the assistance and support of many more loving hands to complete this work. The task of gathering information which is nearly 100 years old and in some cases documented incorrectly would discourage some of the most dedicated people in the world. I now understand what I committed to when I made my promise to Mr. Matheson and being totally honest I would not change any part of it. I have realized you do not need to be a PhD or a Rhodes Scholar to bring the truth to the forefront, what you really need is persistence, tenacity and the help of a lot of people. Asking for help has never been my greatest attribute but it is now! I have been able to fulfill this promise with the help and support of my wife Sue, our adopted “Auntie Anne” and some very generous friends. I have also been provided with support from the entire Leeds and Grenville community, our Member of Parliament, our Member of the Provincial Parliament, and no less the seven Government of Canada departments and agencies. I have had conversations with some of the highest ranking Government of Canada officials and Department heads as well as leaders in the areas of Heraldry, History, Heritage, Education as well as some highly respected journalists. My unorthodox methods of reaching out to some of these truly exceptional Canadians were sometimes humorous and I know I probably did not provide the level of respect their positions were used to getting but, I got it done. In one such communication with a very highly respected authority they referred to me as a “bull in a China shop” and I am certain that is exactly how I came across in my line of questions. Sometimes you just have to seize the opportunity to bring your concerns forward when you can. The intent of this report is to bring awareness of the “many loving hands” who contributed in bringing our National Flag of Canada to fruition but also to bring awareness to what you can accomplish as an everyday average Canadian when you make a commitment like making a promise to a friend. It has been said that as a human being there will be many people who come in and out of your life, but, I have discovered many people use the word “friend” and what they really mean is “associate or “acquaintance”. Friend is a word that should mean someone very special, whereas, associate or acquaintance are everyday interpersonal contacts. These terms are used in everyday communications with family, fellow workers, sports groups and neighbourhoods around the world. If you were falsely accused and thrown in a foreign jail do you have a friend who would do everything to get you home? This report is the culmination of work which spans almost 7 years. I have accomplished far more than I ever thought possible and for this I will always be in debt to my friend and fellow Canadian the Honourable John Ross Matheson. Since 2010 I have been part of something far bigger than just me, my family or my community. The work to bring awareness of the “many loving hands” who took part in bringing the Canadian Maple Leaf Flag to fruition, to all Canadians will be a lasting tribute to each and every one of these truly exceptional Canadians. The 6 community based projects we have completed have brought awareness to the history of who and how our most recognized symbol of Canada was brought to fruition and also how it is viewed around the entire world. I have successfully worked with our Municipalities of Leeds and Grenville, Provincial and Federal Governments, Members of Parliament, Members of the Ontario Legislature, The Canadian Museum of History, Canadian Heritage, Heraldry Authority of Canada, several Universities, Ontario Ministry of Education, Ontario History and Social Science Teachers Association, as well as numerous other Government of Canada departments and agencies to bring the true detailed facts to the forefront. 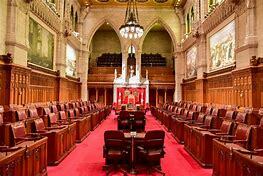 I would like to bring forth the results of exactly what my promise to the Honourable John Ross Matheson has produced. The following chronological and detailed account of who and how our beloved Canadian Maple Leaf Flag was brought to fruition in 1964/65. This account has been compiled and verified by exhaustive research of archival documents, journals, magazine articles, newspaper reports and interviews with some of the last surviving participants responsible for bringing the “NOW” most recognized symbol of Canada in the world to fruition. This research was conducted by myself Robert J. (Bob) Harper and a team of dedicated professionals over a 6 ½ year time frame to ensure the request of the “Father of our Flag” John Ross Matheson to bring recognition to the “many loving hands” ”was honoured. The following provides this recognition. Ken Donovan – Working with the team from Expositions Canada, Mr. Donovan was asked to find a company to sew several prototype flags on Friday November 6th, so the Prime Minister could actually fly them over the week-end. Due to the fact it was late on a Friday Mr. Donovan could not find a company to execute this task immediately. He requested his daughter to complete the task because she had a sewing machine and was always ready to help. November 9th 1964- the final design of the Canadian Maple leaf Flag was produced around 2:30 PM by the team of Jacques Saint Cyr (artist) Patrick Reid (Manager of Design) and John Ross Matheson MP (flag project coordinator) and sent to the Privy Council Office for approval. 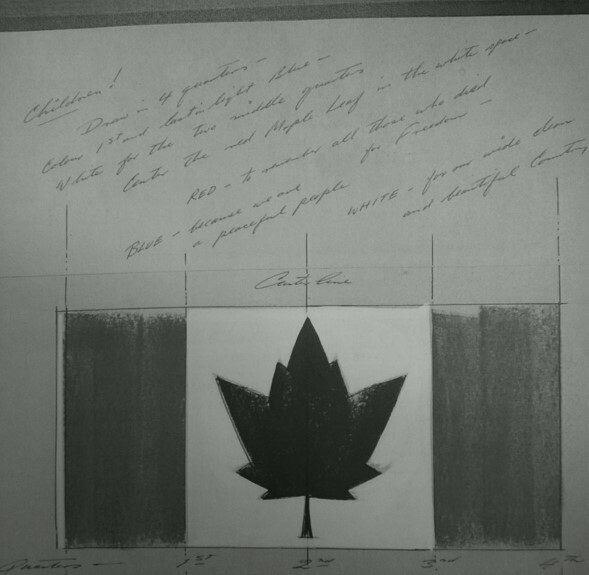 Alan Winship then made arrangements on Wed. November 10th to send the sketch to Bruck Mills in Cowansville Quebec to have the first prototype of the Canadian Maple Leaf Flag produced. 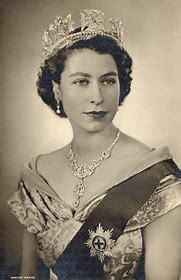 The first prototype was produced on November 16th 1964 and delivered to the Privy Council Office on November 17th. The foregoing account and detailed credits are a culmination of my work for the past 6 ½ years and fulfills my promise to John Ross Matheson. I have been humbled as well as proud to have worked this hard to bring this information together so all Canadians have the opportunity to know the names of the many loving hands who worked for nearly 100 years to bring the now most recognized symbol of Canada into being. This report is intended to provide historical information, recognition of people and organizations but most of all as the author of this report I am hoping that each and every person who reads it will have a new found self- awareness of your values as Canadians and a true sense of what it means to make and keep a promise to a friend.